There are a handful of questions people often ask us about. Here, we’ve provided a list of those questions and their answers for your convenience. If you have any questions not on this list or would like more clarification, please feel free to call us at (480) 545-0661. Bad breath, or halitosis, can be a sign of a number of problems, but it usually originates from dental decay and periodontitis, or gum disease. Periodontitis is caused by poor dental hygiene and results in gums pulling away from the teeth. This pulling away leaves pockets that soon fill with odor-causing bacteria. Patients with halitosis require a complete dental examination. If periodontitis is indeed the culprit, it can be treated almost immediately. Bad breath is very treatable. In no time, a dental professional can have you inhaling (and exhaling) a breath of fresh air after being rid of this frustrating embarrassment. Periodontal disease, more commonly called gum disease, is a bacterial infection of the gums and the supporting structures of the teeth generally caused by poor oral hygiene. When a person has periodontal disease, their gums will appear puffy and red and will bleed easily. Many times, however, patients are unaware that they have a problem. Advanced stages of periodontal disease will destroy the bone that supports teeth, leading to tooth loss. There are many procedures for treating periodontal disease including antibiotic gels, special cleanings, and even surgery. The disease can exist in a person for years without detection. 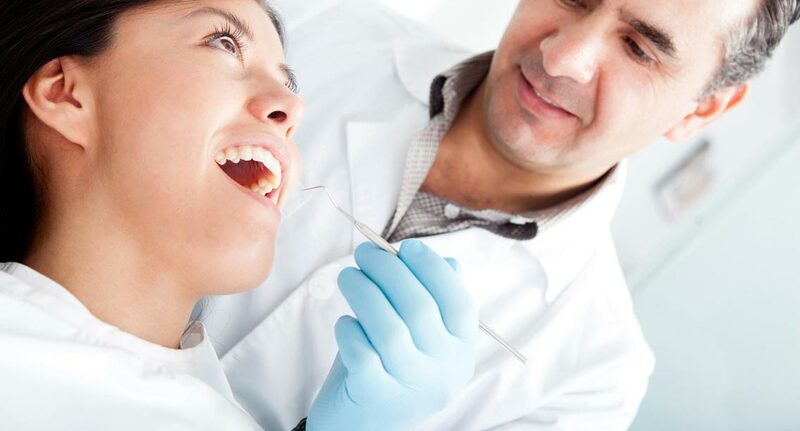 It is essential to have regular dental examinations so periodontal disease can be caught early, minimizing the risk of tooth loss or disfigurement. Is there an easy way to fix my chipped tooth? Bonding uses a composite material that is almost indistinguishable from a real tooth to sculpt individual teeth without removing any tooth structure. Results are immediate and completely natural-looking. In-Office Whitening. A dental professional will apply a whitening solution to your teeth and activate it usually with a light. This usually takes 30 minutes to an hour and produces noticeable results in only one visit, although some tough spots or stains could require another visit. Depending on diet, results may last for years especially when combined with proper and regular dental hygiene. At-Home Whitening. Your dentist can provide you with a special whitening gel and fit you for a custom whitening tray. In the privacy of your own home, you simply wear the gel-filled tray for an hour at a time until you have reached your desired shade. It’s important to remember that even with today’s technology, not everyone’s results will be the same. Talk to your dentist for more information on whether or not whitening is right for you. Veneers are custom-fitted typically porcelain shells made to cover the front of a tooth. Stain-resistant, natural-looking and highly durable, veneers are designed to restore misshapen or crooked teeth, mask stains and close gaps. Veneers are typically applied by carefully removing a small amount of enamel from a tooth and bonding them in place. With proper and regular oral hygiene, veneers will stay bright and in shape for many years. Why would I need a crown rather than a bigger filling? In essence, crowns cover teeth to restore their natural size and shape, strengthen them and enhance their appearance. At Sonoran Vista Dentistry crowns are typically completed in one visit utilizing state of the art CAD/CAM technology..
Dry mouth can come about for a number of reasons, but usually results as a side effect of medication. It can cause bad breath, an increase in cavities as well as other dental problems. It is recommended that those with dry mouth see their dentist for regular dental cleanings and advice on how to manage it. Dental implants are our best option for the replacement of teeth. Technically, dental implants are the titanium roots, or “anchors,” fitted into the jaw that a replacement tooth is attached onto. They are strong and long-lasting and can be cleaned and treated almost exactly how you would a natural tooth. In addition to the benefit of replacing the lost tooth, implants also support the bone both around the implant and adjacent teeth. Missing teeth should be replaced as soon as possible with either a dental bridge or implant. Having a tooth missing can cause a number of serious problems. Your teeth will shift over time and potentially cause eating and speech problems as well as headaches or jaw pain. In addition, the lost tooth can lead to progressive bone loss in the area leaving an unsightly defect and compromising the stability of nearby teeth. Tooth decay takes place when bacteria/acid eats away at the enamel of teeth resulting in a hole or cavity. This bacteria is found in plaque and can affect any part of a tooth including the roots under the gums. If the cavity is deep enough to reach the inner pulp, which contains nerves and important blood vessels, the tooth can become very painful resulting in the need for a root canal to treat the pain and infection. Treating cavities as soon as they are detected not only can save thousands of dollars but can also extend the life of the tooth. 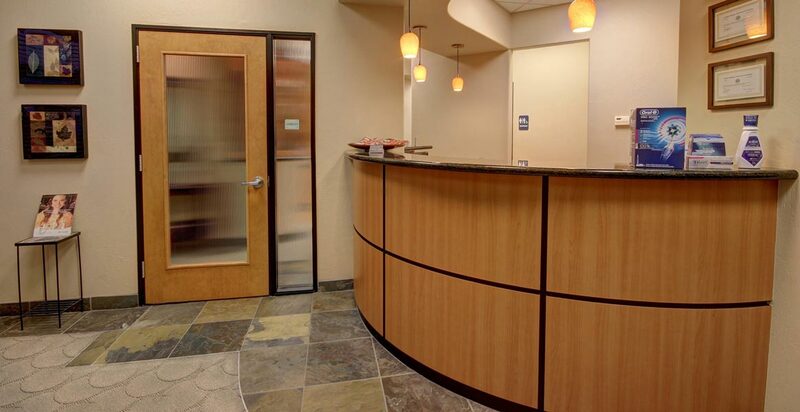 Our goal at Sonoran Vista Dentistry is to give each patient the opportunity to keep their teeth for their lifetime. Root canal therapy is used to remove the dead, infected, or inflamed tissue from the tooth. 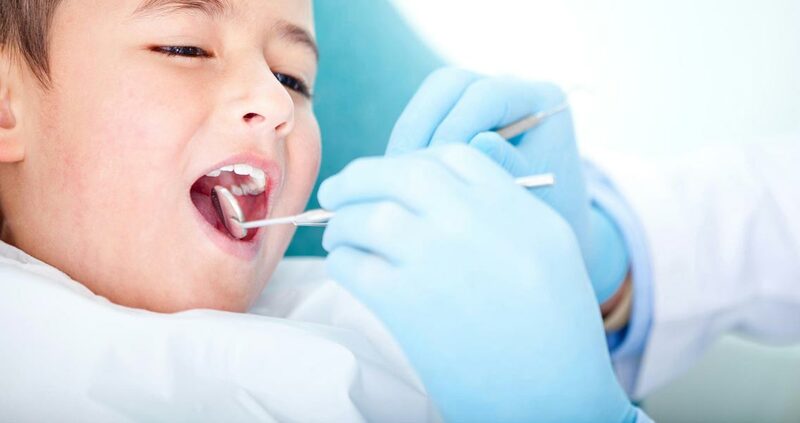 After the tooth is numbed, your dentist removed the tissue within the roots and thoroughly disinfects it. Afterwards, the roots are sealed closed and the tooth is restored with a permanent crown. We’re proud to offer North America’s leading healthcare credit card, CareCredit. This healthcare-exclusive credit card allows you to immediately start treatments and easily pay for them through small, manageable, monthly payments. And the application process is simple. With low minimum monthly payments and no up-front costs or pre-payment penalties, you’ll be able to free up your funds for other important needs. You can also use the card multiple times to pay for more treatments for both you and your family in any other CareCredit practice.